The magnificence of the Palaces and Parks of Peterhof inspired Theo Fabergé to design The Peterhof Egg. 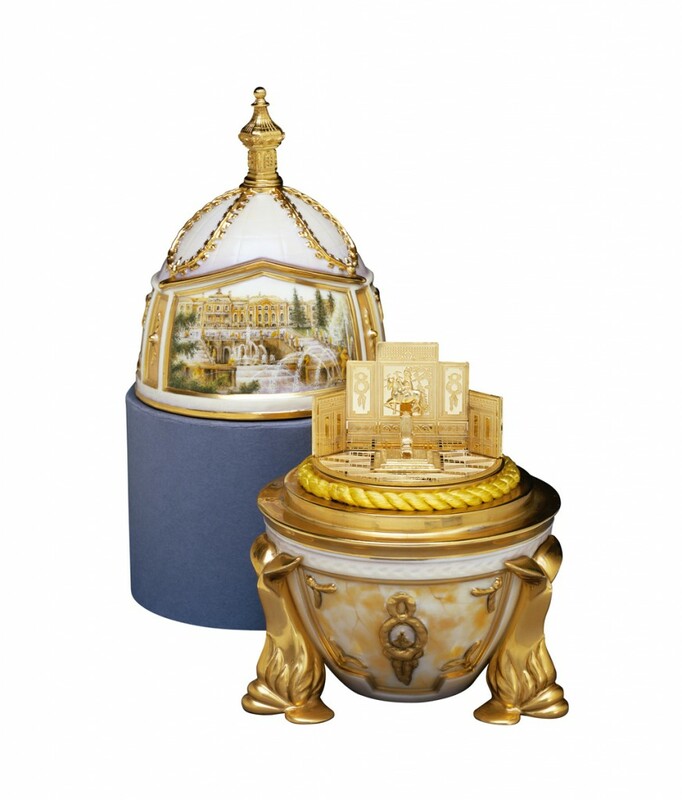 Hand painted and sculptured in fine bone china in relief, the front is taken from a 19th century painting of the façade of the Great Palace. The Neptune Fountain, within the upper gardens of the Parks is featured upon the reverse with three mythical golden dolphins supporting the Egg. 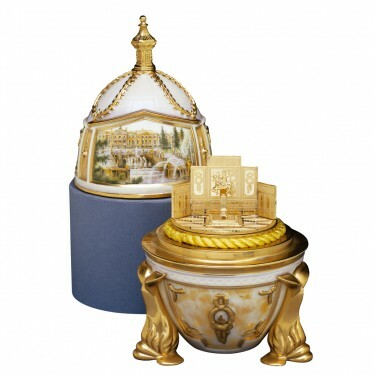 The Peterhof Egg is surmounted with the dome of the church of St Peter and St Paul created in vermeil. Within, a replica in sterling silver and gold of the Throne Room of the Great Palace, detailed with the portrait of Catherine the Great hanging behind the throne. Materials: Porcelain, sterling silver and ruby.